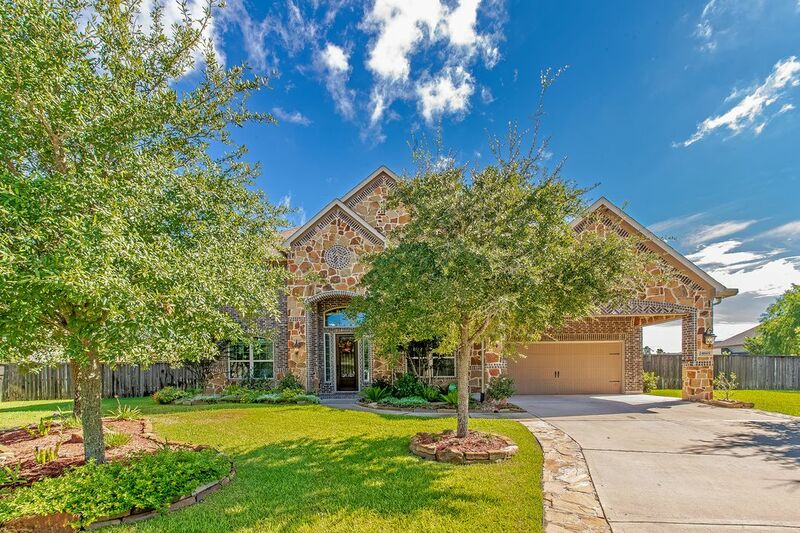 24603 Lavone Court, Porter, TX 77365 | Martha Turner Sotheby's International Realty, Inc. 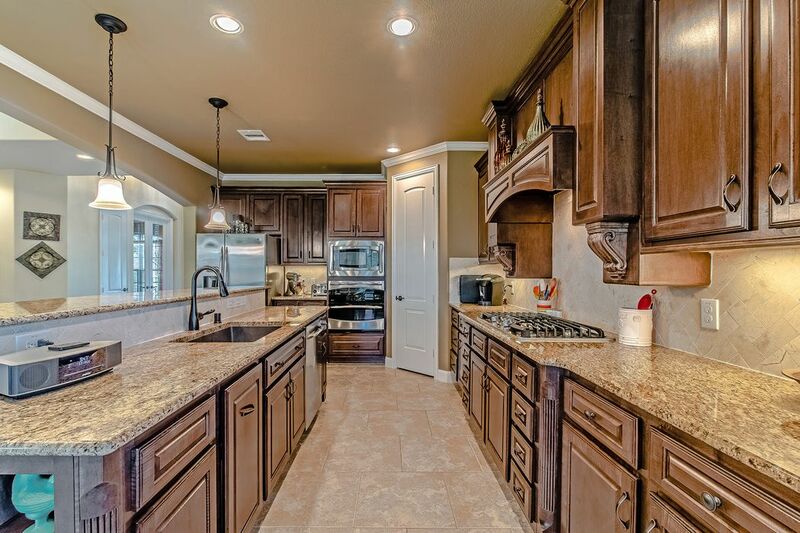 Welcome home to everything you've ever dreamed of in a house! 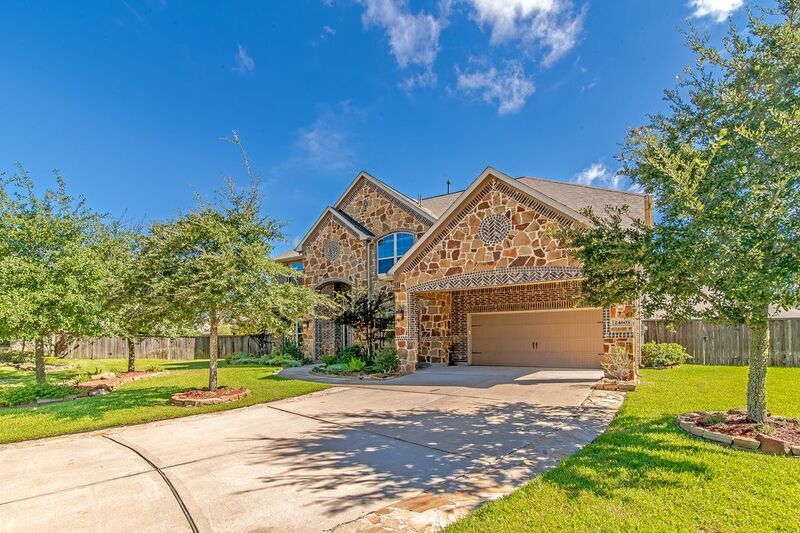 24603 Lavone Court has it all and then some. Let's have a look. 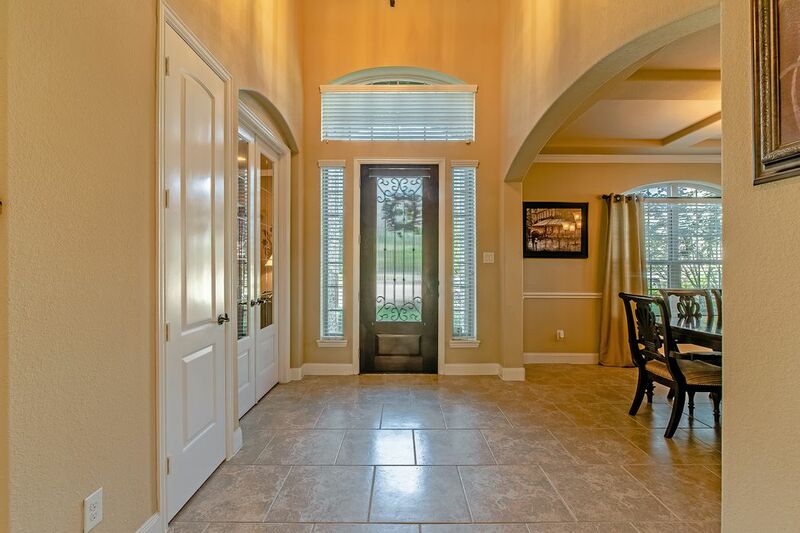 Inside the foyer, you have a wide entryway with the formal dining room on the right and the study on the left. 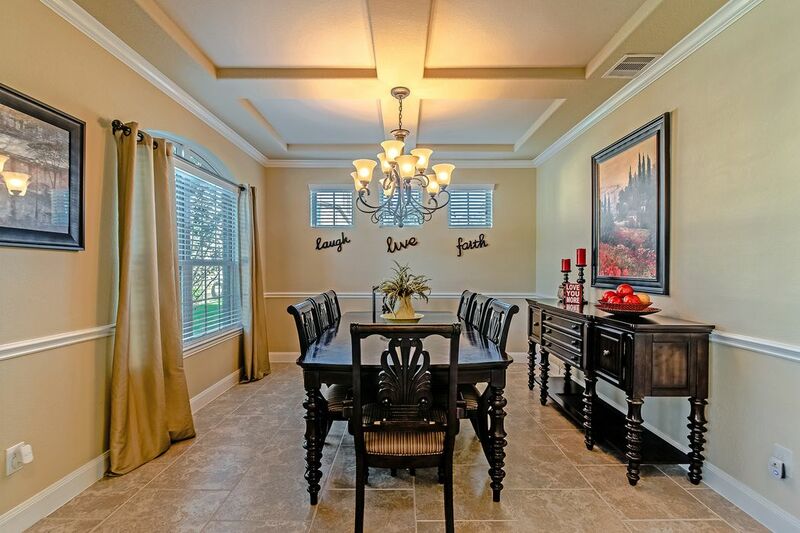 The dining room has a lovely tray ceiling and enough space for all of your guests around the table. 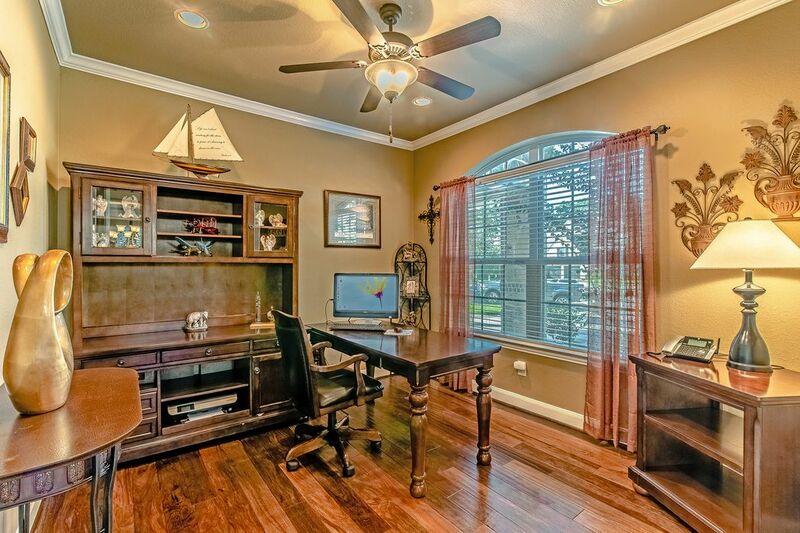 The study off the foyer has warm hardwood floors and privacy doors to close off the rest of the house when you're working. 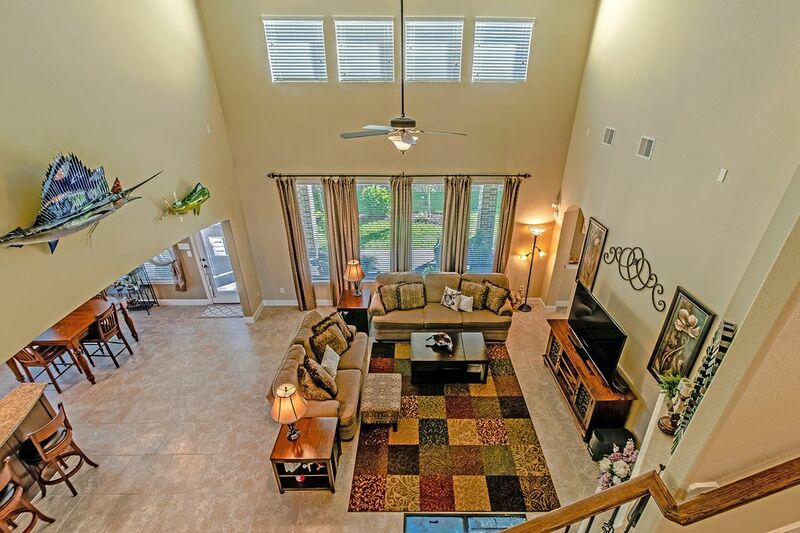 At the end of the foyer, you'll find the living room with an open floor plan off the kitchen, and a soaring ceiling. From the opposite side of the living room, you can see the whole space, with the kitchen in the back of the room and the breakfast area to the right. 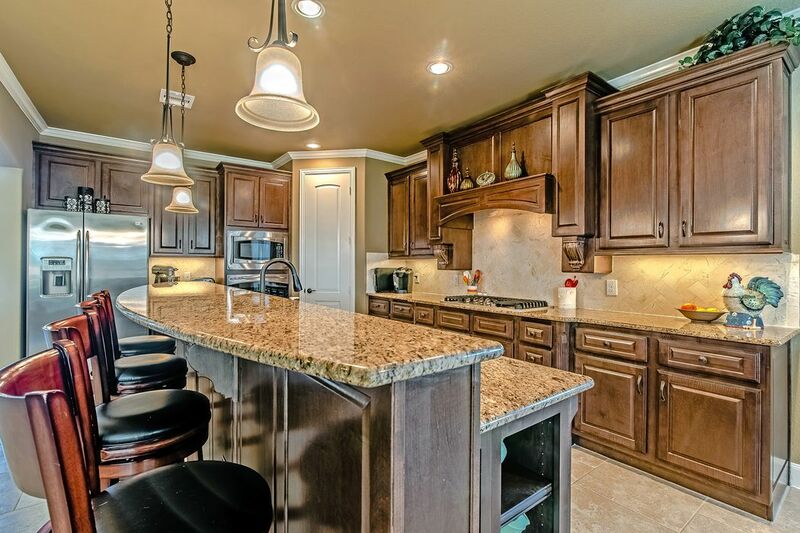 This is a great view of the kitchen, with beautiful cabinets, stainless steel appliances, and the breakfast bar with pendant lights. A closer view of the kitchen. 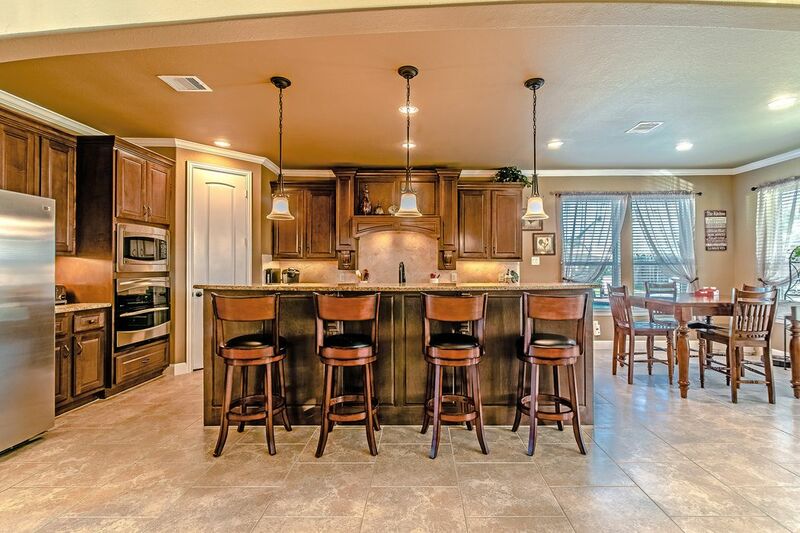 Lots of space and all the needs for the chef in the house! 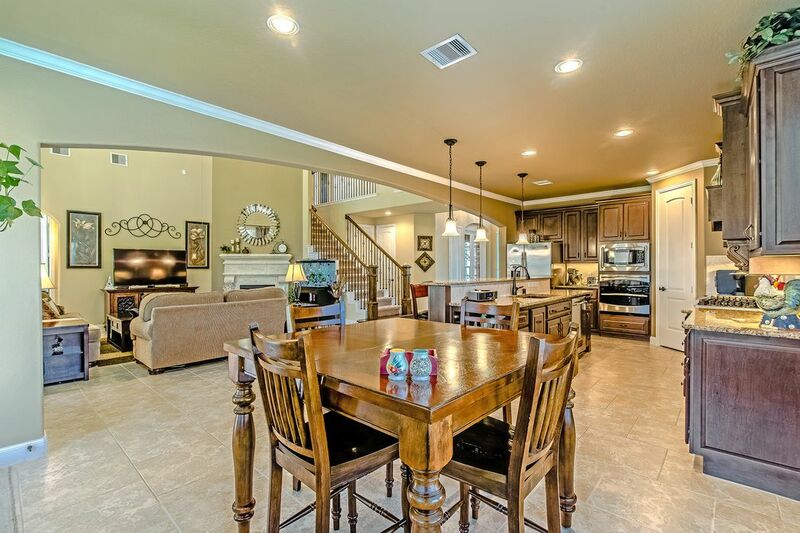 In the back corner of the room, you can see the breakfast area with the kitchen and living room. From the hall on the second floor, this is the view of the living room from above. 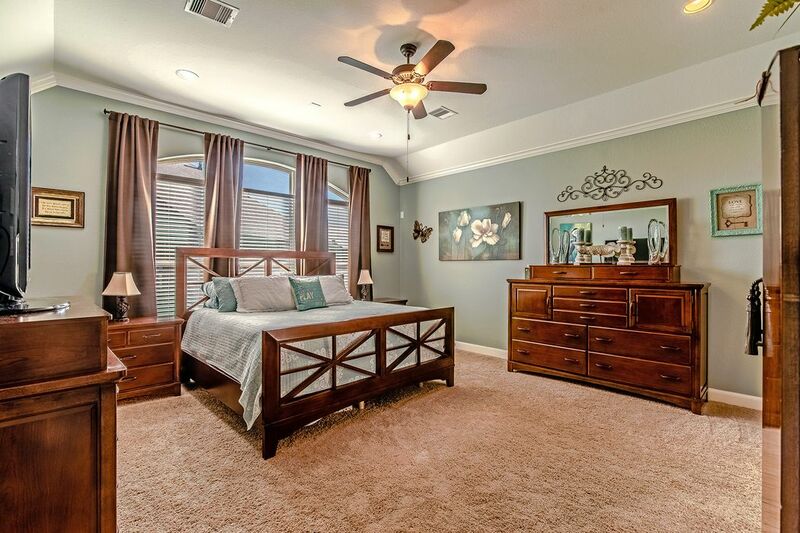 On the first floor, in the back corner of the house is the master suite. Lots of room for a sitting area in the room as well! 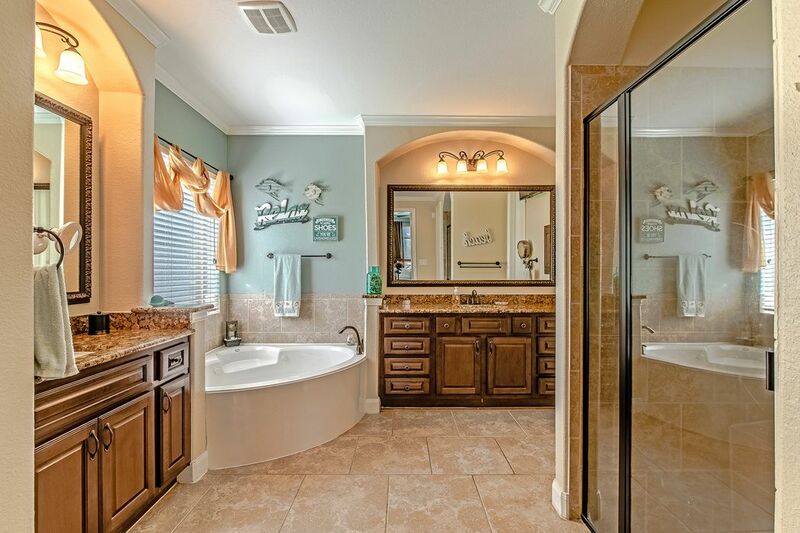 From the back corner of the master room, you get another view of the suite, and into the master bath. 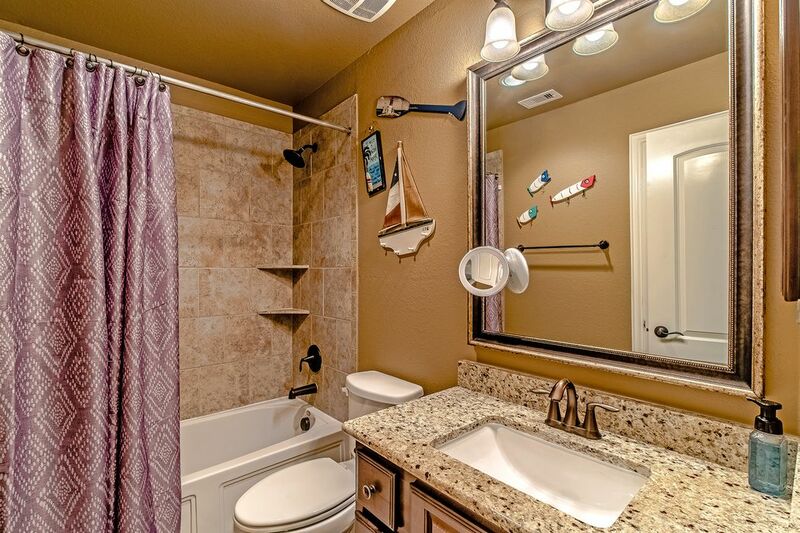 There is a separate shower and a walk-in closet. 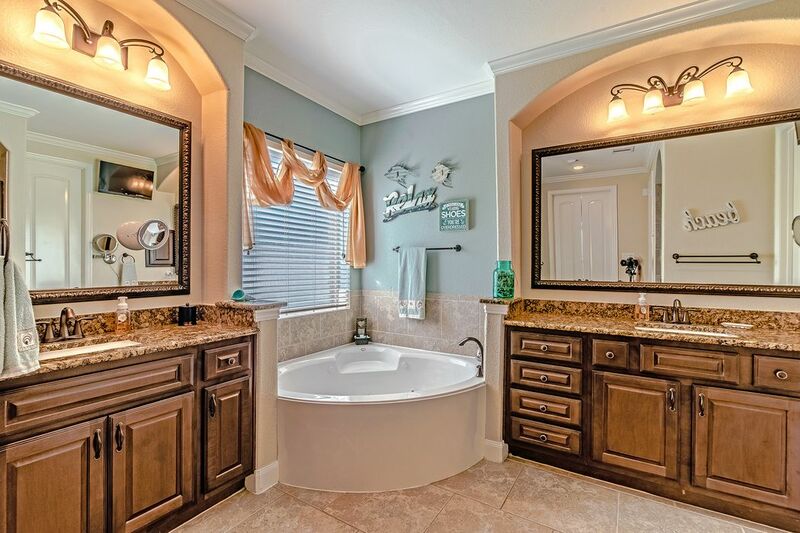 Separate vanities and a beautiful soaker tub. 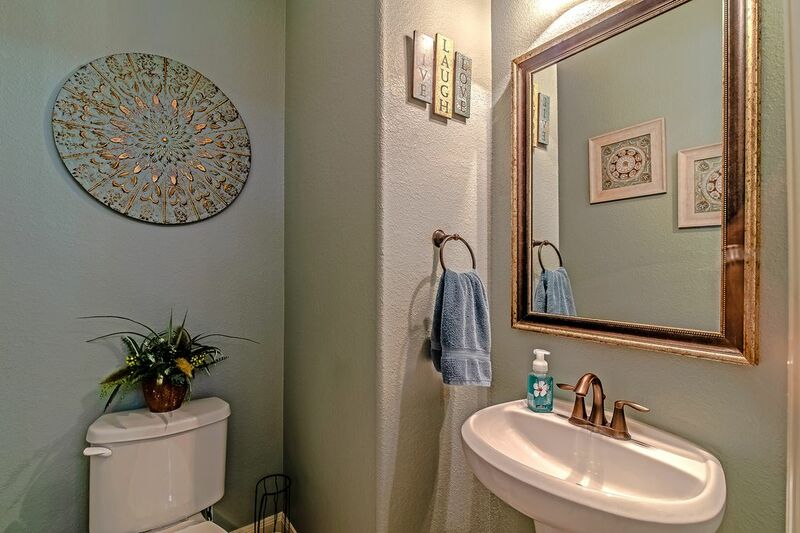 There is a powder room on the first floor as well. 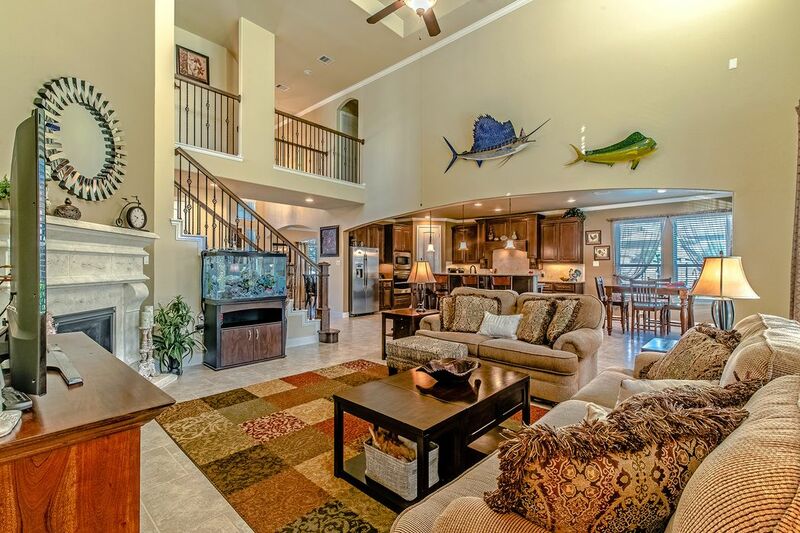 At the top of the stairs is a family room or game room depending how you want to use it! 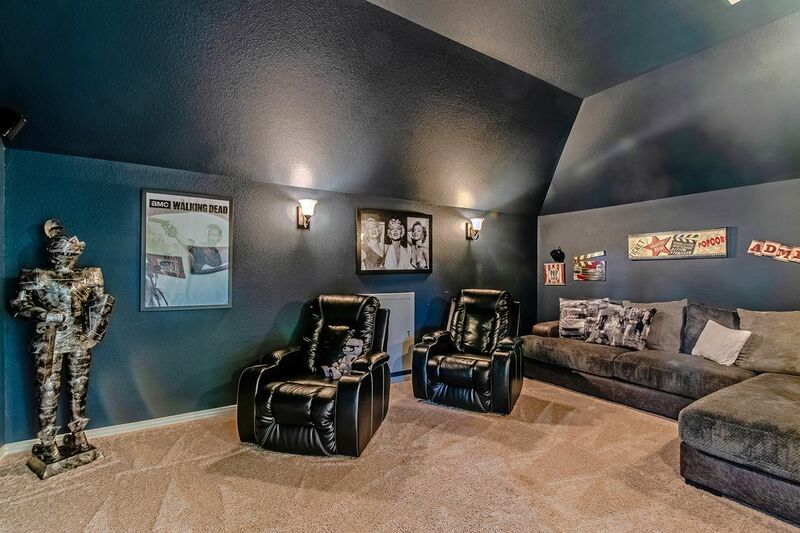 Through the doors is the media room for your personal viewing pleasure. Inside the media room, there's more than enough room for all of your friends for the movie of big game! 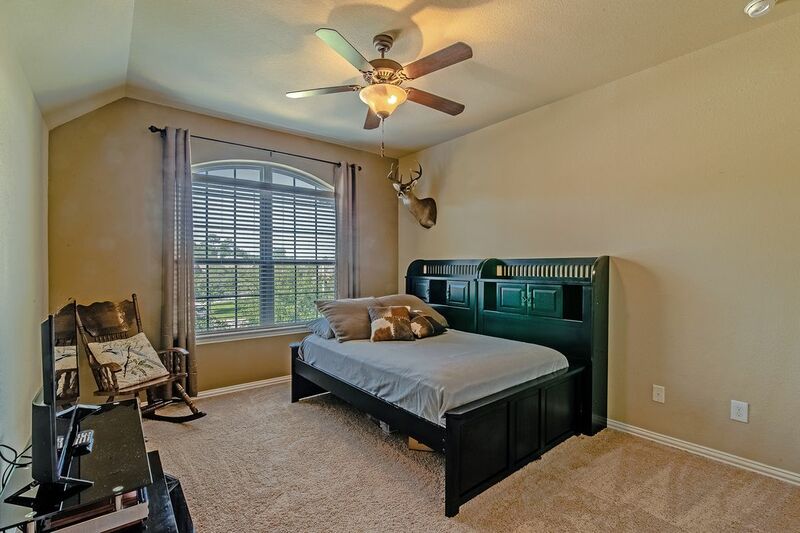 This is the first of four bedrooms on the second floor. 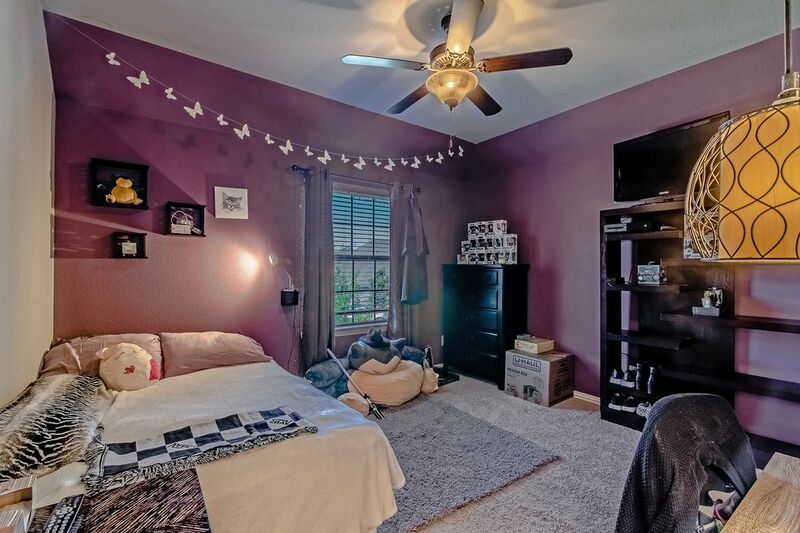 There's a full bathroom between two of the bedrooms. 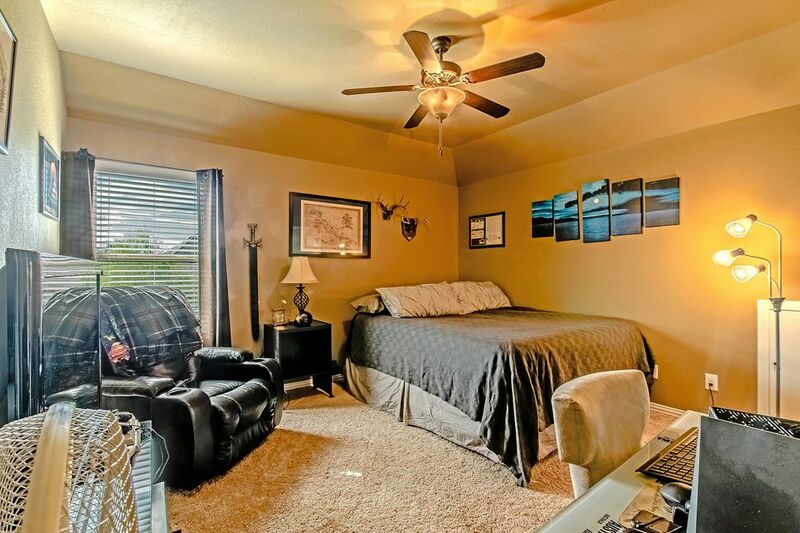 This is the second bedroom that is next to the bathroom in the last photo. Across the hall on the second floor is the third bedroom, that shares a Hollywood bath with the fourth bedroom. Here you can see the Hollywood bath. 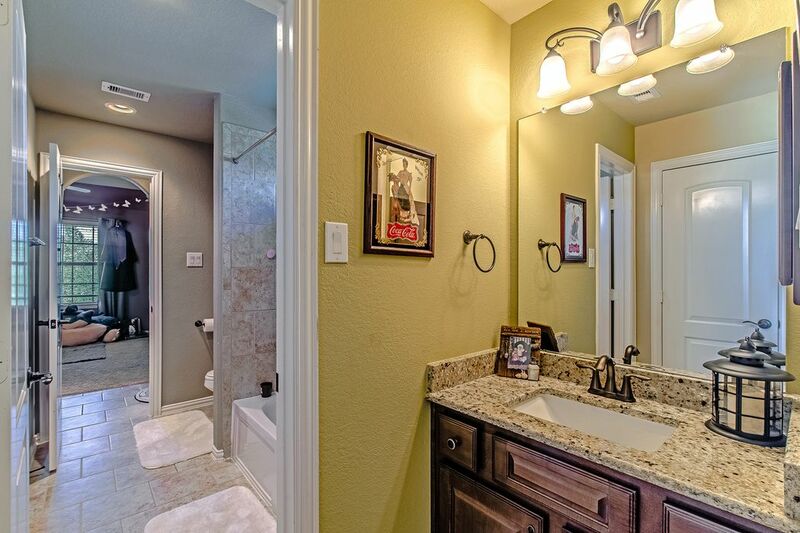 Each bedroom has their own vanity and they share the shower between them. 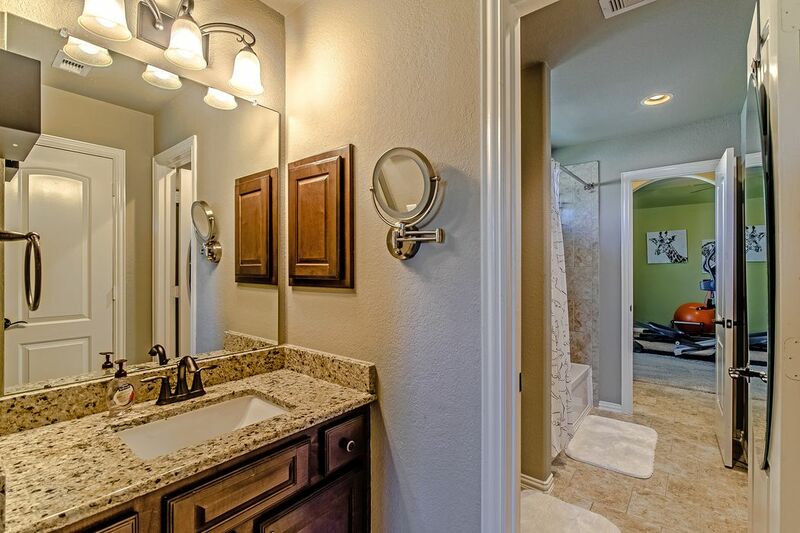 This is the other vanity off the fourth bedroom. 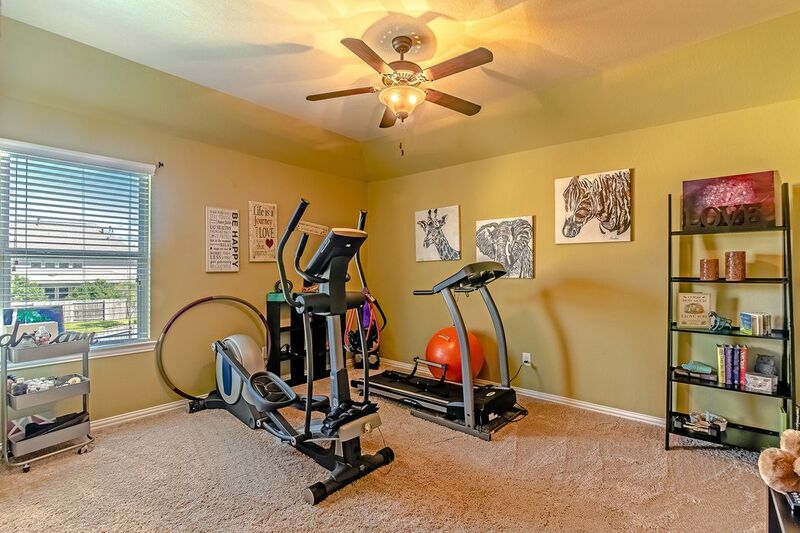 Finally, this is the fourth bedroom on the second floor, currently being used as a workout room. 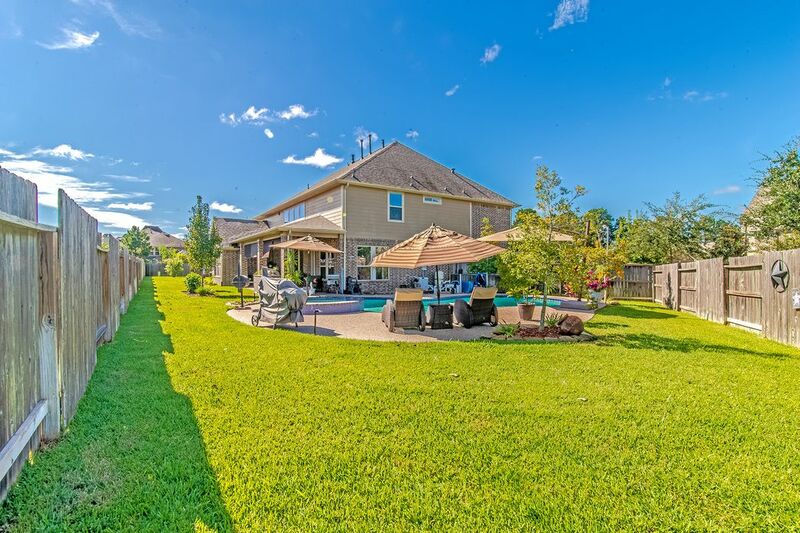 The backyard has loads of space and a wonderful covered patio with a summer kitchen. Just off to the left of the patio is the pool and hot tub. Lots of space around the pool for everyone to spread out. In the back corner of the yard you can now see the whole area! There's another side of the yard on the other side of the house too! Please come have a look for yourself! 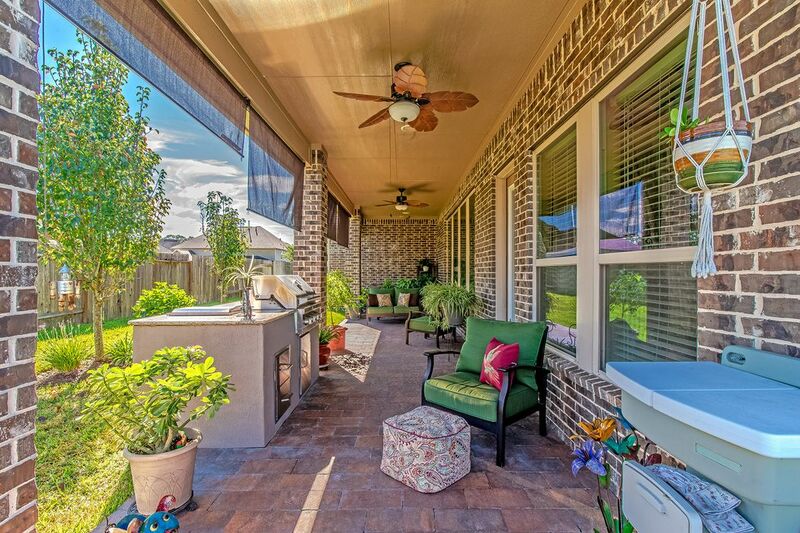 $390,000 5 Bedrooms3 Full / 1 Partial Baths3,740 sq. ft. 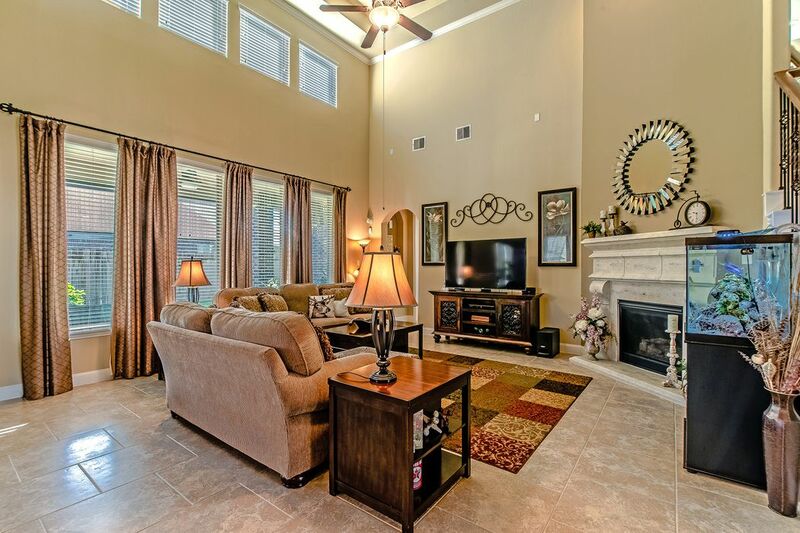 Exquisite home with a great open floorplan, lots of space, gameroom, media room, pool and generator. 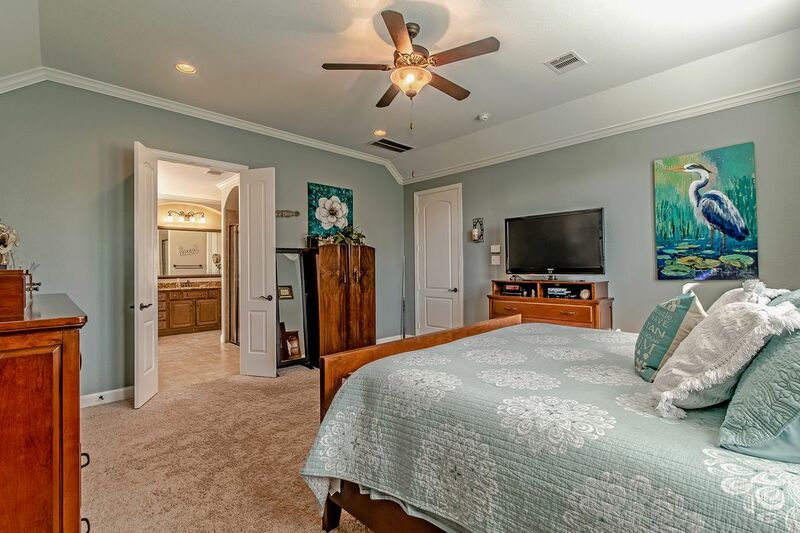 The master suite is on the first floor, along with the study, formal dining room and laundry room. 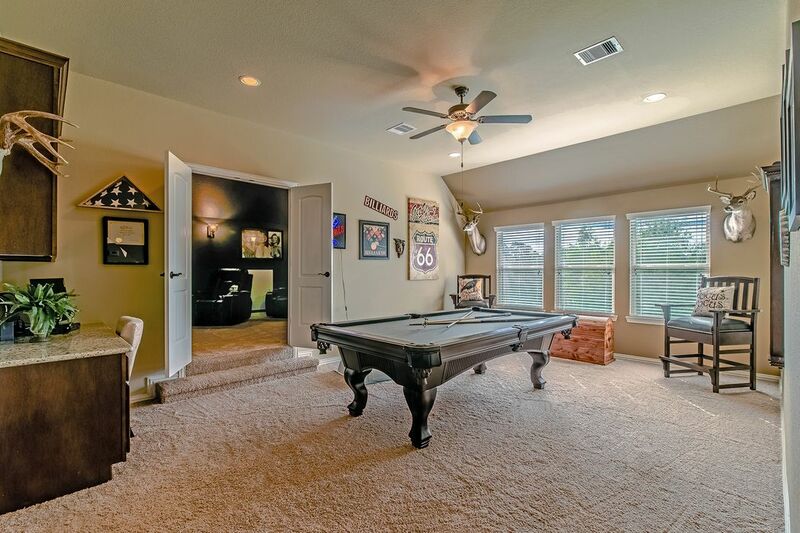 Upstairs are the gameroom, media room and 4 bedrooms and 2 baths. 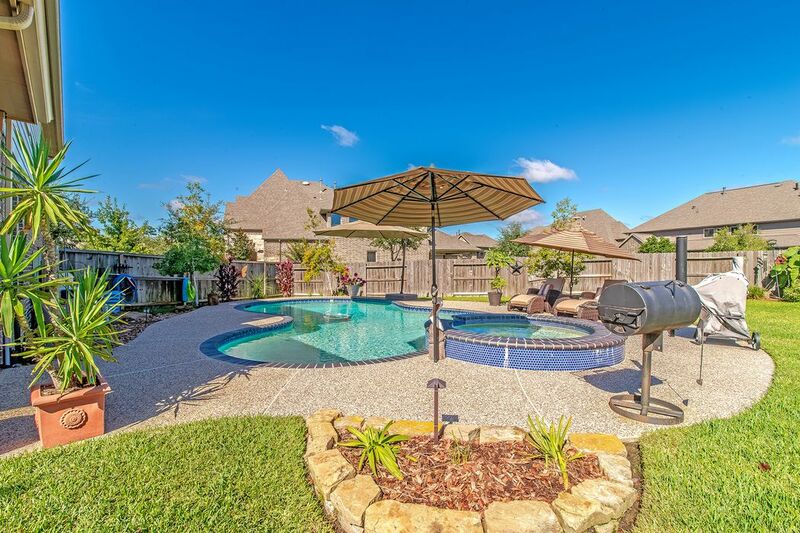 The backyard has a great covered patio with a beautiful pool.